The Eston – uMbumbulu Pipeline, a steel pipeline, 450mm in diameter and 25km in length, was designed to supply 15Ml/day to the area of uMbumbulu. This pipeline was successfully commissioned in June 2006 and is currently supplying just under 5Ml/day. The Greendale Pipeline, a steel pipeline, 400mm in diameter and 2.6km in length, was designed to secure the supply of potable water to the Howick West reservoirs as a result of ageing infrastructure. This pipeline was successfully commissioned in January 2008 and is currently in the Defects Liability period of 12 months. The South Coast Pipeline project has been completed, with some components already having been commissioned. The bulk water pipeline will improve the surety of potable water supply to the southern most portion of the eThekwini Municipality and the northern area of the Ugu District Municipality. 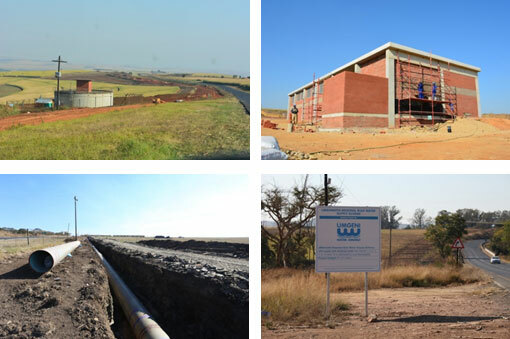 This project comprises an 800mm diameter steel pipeline 22km in length, a 600mm diameter steel pipeline 13km in length, a 300mm diameter branch steel pipeline 4.5km in length, three reservoirs – one each at Amanzimtoti Water Works, Quarry and Mgobhozini with a capacity of 15Ml, 7.5Ml and 5Ml respectively and two pumping stations, one at Umnini and one at Umfumi having a power requirement of 1MW and 200KW respectively. 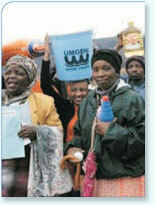 Umgeni Water has a capital expenditure programme for the next five years of approximately R1.7 billion. In an attempt to implement this programme, a Project Office was established. 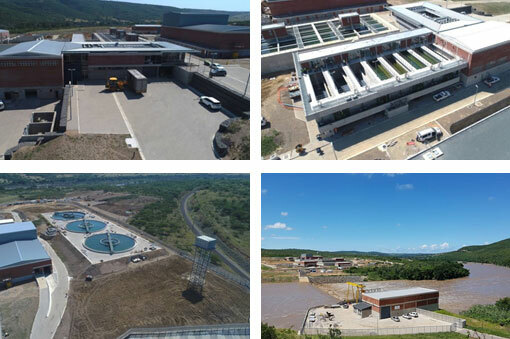 The major projects which this office is managing are the DV Harris to Umlaas Road pipelines, currently in various stages of design, to address both an increase in demand and eThekwini Water and Sanitation’s (EWS) planned load shedding programme. Linked to this is the 57/Western Aqueduct pipeline, currently out to tender, of which the first 10km of 1 400mm diameter steel pipe is being implemented by EWS on behalf of Umgeni Water. 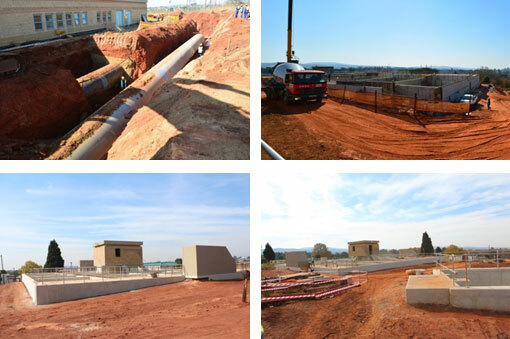 The other major projects comprise the 300Ml/day Durban Heights Booster Pumping Station to enable EWS better manage their Northern Aqueduct System and the North Coast Pipeline, a steel pipeline ranging in diameter from 800mm to 1 000mm over a distance of 17km from Ballito Bay to Honolulu necessary to meet the increasing demands along the north coast and part of the Illembe District Municipality. 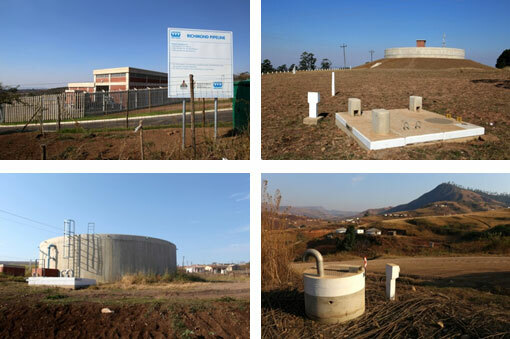 Midmar Water Treatment Works Upgrade Howick within the local municipality of Mgeni. The district municipality and WSA is uMgungundlovu The project was identified and undertaken to enhance security of supply to uMgungundlovu, Msunduzi and parts of eThekwini.